And I you still do not believe what you see in the above picture, check this video. I reviewed the P1610, and I hare been playing with one for around a week while I was preparing it for a customer. And so far the only thing that I don't like is that the screen it's a bit too "spongy" for my taste. But God! It's so hard to not fall in love with these Fujitsus! And now this one announced today by Engadget. It's not the most powerful convertible in the world with a max configuration sporting a Core Solo U1400 proc and Intel GMA 950 graphics. What it lacks in power however, is more than made up for in portability: 8.9-inch, 1,280 x 768 LCD; up to 32GB SSD or 80GB disk; up to 9.1-hours on extended battery or 4.3-hours in a wee bit of kit weighing just 2.1-pounds. Windows Vista Business will cost ya ¥270,000 (about $2,188) out the gate. Check this, 9 hours of Battery Life with XP and the extended battery! that Probably will be around 3 hours on Vista with the original battery. "Using AVStation Now, you can easily and quickly play music, photographs, movies and DVDs when the computer is on/off. The AVStation Now program is launched." This means that the Q1U is just equipped with a hot button or a launcher, that points to the AVStation Now Program. In another words, the Q1U does not have the instant on partition with XP embedded like it used to be in the old Q1 devices. Today PDA seems to be on its last legs, overtaken by smartphones and UMPCs. Even Palm (a brand synonymous with PDAs) seems to have given up on it and is instead focusing on its smartphone range and on ‘smartphone companions’ ! Well, I remember Bill Gates saying that UMPCs and Smart Phones are converging into one point. And I will add that PDAs are like Dinosaurs on the edge of extinction. I came across this post yesterday at OrigamiProject. At the beginning I though it was a user mistake but after a while I found that there was not any user mistake. Apparently Samsung eliminated the "almost instant on AVSNow partition" in Q1Us. I read somewhere that the Q1U came with AVSNow that allows you to play media files without booting into Vista. When I press the AV button on the side it just boots Vista and then runs the Windows version of AVS. Do I take it that only the original Q1 came with AVSNow? Well, to me that partition is a waste of HDD space because it's a closed partition where you don't have control of anything, where you can't install anything including codecs needed to play your movies and because in the way that it was configured it does not work after any RAM changes. At this moment, after upgrading my unit to 2 GB of RAM, it's not longer working in my Q1. And in one year, I think that I have opened around 5 times and the majority of the times to try to fix it. One of the reasons why I have not used is because I always have my unit in hibernation and the only way to use AVSNow is turning the Q1 Off and then turning on the AVSNow. Coming back from hibernation to show pictures or watch a movie takes almost the same time than if you log into AVSNow instant on partition. So, the elimination of the AVSNow partition seems to me a good move, but leaving the name AVSNow to refer to something that's not AVSNow sounds to me like a misleading. Or putting it simple, a lie. They should have named the new feature AVSLater. iPhone has not bought me yet. I need to see it. I need to check it under the tropical sun of Florida. One thing is for sure, I like the web browser demonstrations on this video. In overall I like the human interface used in the iPhone. But at the same time, there is something that I really don't like, the price! Oh, and I forgot to mention the carrier. I ran away from Cingular a few months ago! There is not way I'll come back to ATT just because of this phone. No way. Here is what Walter has to say about this phone. And if this video is not enough you can find a full review here. Today todoUMPC has announced to have the first forum in the whole world with full handwriting recognition support. User can handwrite a post and after clicking a button the handwriting is converted into letters and both version of the note are posted together. I posted a few day ago a video recorded during the testing stage. I was not wrong, only a few hours after I posted that Steve got an Everun and he has already a two parts video review. Those looking for a very small device should be checking UMPCPortal, because Chippy is about to post one of those wonderful videos of him reviewing the Everun. Its too early to say if this is just a good consumer UMPC or a fantastic one but there's one thing that's for sure, this is an incredible bit of technology. I had a great meeting with Raon Digital today and was lucky enough to come away with an Everun for long term testing. The first outside Asia. where did you all go? VIA, Intel, OQO, Samsung, and others are charging full steam ahead on the hardware side of this platform, so where's our team championing the small screen, touch-optimized user interface? Did you get kidnapped by some super secret project in Redmond? And I think that he has a valid point. It's not enough to bring a new baby to this cruel world. You have to keep feeding it. Hotel Interactive is reporting about a new business agreement between TabletKiosk and SoftBrands. SoftBrands, Inc. (AMEX: SBN), a global supplier of enterprise application software, announced today that it has signed a distribution agreement with TabletKiosk for their portable workstation solution. SoftBrands has selected TabletKiosk’s Sahara Slate PC line to launch this initiative. 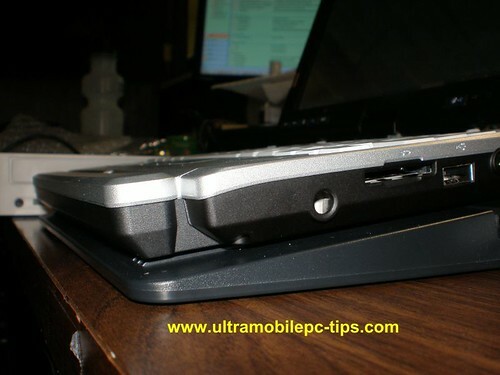 The units are blue-tooth/wireless Tablet PCs and run on the Microsoft Windows operating system, including Windows Vista, Windows XP Professional or Windows XP Tablet PC Edition. SoftBrands Hospitality provides central reservation, property management and business intelligence software that can be centrally managed to support many properties within a hotel chain as well as less complex offerings that can be installed on site at an independent hotel. Our distribution service, Karyon, allows hotels to easily manage rates and inventory availability across all four Global Distribution Systems and many other online sources of demand. SoftBrands is committed to the hospitality industry and is an active member of OpenTravel, HTNG, HSMAI, HFTP, HEDNA, AH&LA, AAHOA, NBTA and PHMA. Hugo has prepared a really good video about how to upgrade the Q1U RAM. I know that upgrading the Q1 Ultra with a 2gig stick of RAM really caught a lot of attention last week. Because many of you want to do this yourself but don't know how as promised I thought I would post a quick "how to" video. I haven't talked to the graphics group yet, because I'm trying to identify the right people to talk to. That's hard in such a big company (Intel has almost 100,000 employees, and I don't work directly with anyone in the Graphics group). But I'm going to find someone, eventually. To me, the fact or possibility of having a new driver coming soon capable of running Aero is a good news. Will I use Aero? I doubt it. All depends on the impact of it on my performance. I have to confess that the only thing that I know about Linux is thanks to my few hours of experience with Ubuntu. This is why I have to depend here on those readers of mine that really love Linux. My question is, can this GeeXbox be and to replace our AVSNow partition? You can use Outlook Rules to fight spam. Have you received any email from Chase Bank? Soon, todoUMPC will have the first forum that I know of with Handwriting and recognition support. The video that I'm posting here shows one of the tests. Right after the ink posted in the forum you can see the text recognized from that handwriting. The picture on the left shows that with more details. Testing this new feature we have found that when we post from a machine with Vista the recognition is almost perfect. When we post from XP the level of recognition is far not that good. I found an article at Tom's Hardware explaining SuperFetch and Readyboost. We a have a lot of information about Readyboost so I found the part of this article dedicated to SuperFetch more interested. SuperFetch tries to relocate application data from the slow hard drive into all available memory. It utilizes the available capacity to create a so-called warm memory state for the single purpose of making applications available almost instantaneously. However, SuperFetch needs a certain amount of main memory. At only 512 MB RAM size, the feature won't be very efficient, as Windows plus 2-3 applications will already eat up the total memory capacity. There won't be main memory space left to pre-cache application data. If you don't work with multiple applications at a time, 1 GB should be enough to see a positive impact of SuperFetch when compared to Windows XP. However, we experienced the best results at a main memory capacity of 2 GB - more won't hurt either. The last portion of this quote explains why in devices with 512 MB and up to 1 GB we have seen so much impact after disabling the SuperFetch. This version fixes some incompatibilities issues with Vista and at the same time, two hacks has been added or modified specially for Vista: the hack to disable the paging executive and the hack to disable the SuperFetch. 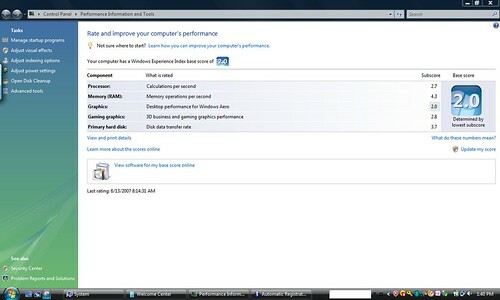 These two hacks could help to increase your overall performance on Vista. I would recommend the second one to be applied in all UMPCs and PCs currently in the market with RAM between 512MB and 1GB (I'll explain later in another post why). Tweaks2K2 PC Edition is so far the only registry tweaker specially created for persons that own a UMPC and a Pocket PC. This is the only one that allows to hack your PC registry and your Pocket PC Registry. 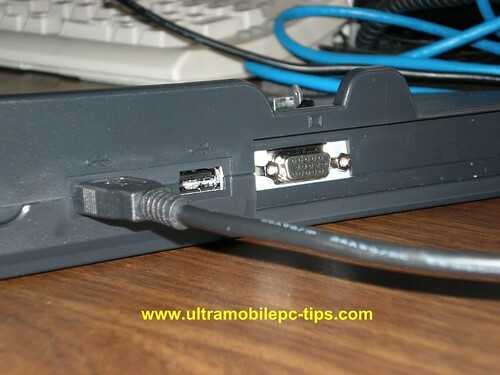 And that without having to install anything in your Pocket PC. 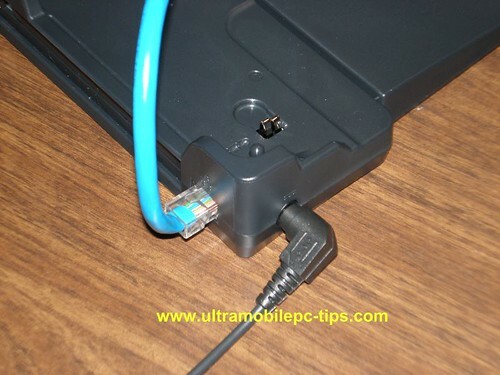 Just connect your Pocket PC and hack it from your UMPC or PC. A trial version of Tweaks2K2 PC Edition can be downloaded here. Aving USA is reporting about the presentation of the UREN Auto PC by Innowell. 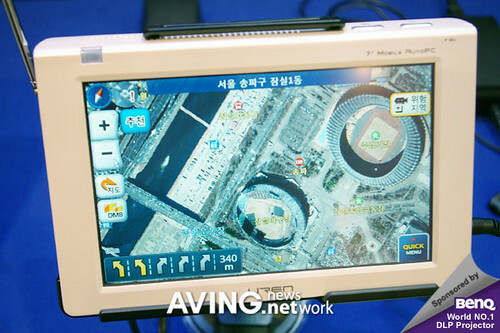 Innowell(www.innowell.co.kr) presented its Auto Mobile PC 'UREN' with satellite map in Korea market during SEK 2007. Adopting 7-inch TFT-LCD touch screen, the UREN can be equipped with Windows XP Home Edition. It is used as a navigation device with multimedia player functionality in car and as a mobile pc in office. Arstechnica.com has published a long article explaining some of the changes that are going to be included in Vista SP1 which should be released at the end of this year. One of the changes comes as result of the Antitrust battle between Google and Microsoft and it's about the Search Capability included in the Start Menu of Google. According to Microsoft's filing with the DOJ, the company "will create a mechanism for end users and OEMs to select a default program to handle desktop search." OEMs will be able to register their desktop search products for this default. 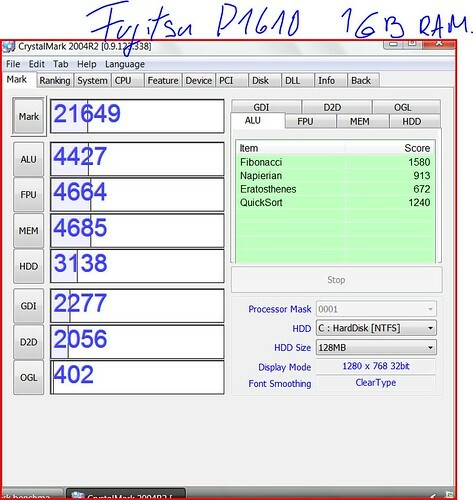 For those keeping track of Crystalmark score of different devices here is the score for a Fujitsu P1610 with Vista and 1 GB of RAM: 21649. That's around 1.2 time faster than a Q1 and 1.54 times faster than a Q1U. You can buy this device at Alltp.com and if you need more details about this device you can find them reading my review of it. If it's a InkShow is gotta be from GottabeMobile. They just posted a video review of the Flybook v5i. As an ultra-portable device, the Flybook V5i really shines. It is small, fast, light, and has integrated broadband support. With a Core Duo 1.2 ghz processor and 1gb of ram, the V5i should be plenty fast for those needing an ultra-portable solution. However, I was disappointed with how the V5i operated as a Tablet PC. 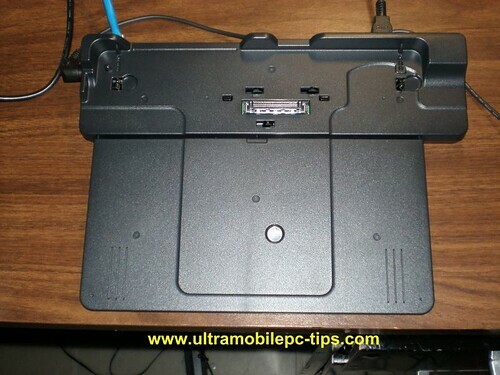 With no hardware buttons on the screen and no palm-rejection technology, using this device in tablet mode is confining. In addition, the innovative mouse and trackstick placement is not productive for those needing to do even a little bit of keyboarding due to the constant hand motion. I just want to add that this device is twice faster (Crystalmark around 34000) than current UMPCs (~18000) and even faster than a Fujitsu P1610 (21647) but look the price: $2700! I just got an email from iNav Corp about a new version of iGuidance Navigation software coming soon. For those that are not familiar with iGuidance here is my review of version 3. I was asked recently if a HD 720p movie would play in a Q1.The answer is in this short video. Dynamism is pleased to announce the Everun from Raon, makers of the Vega. 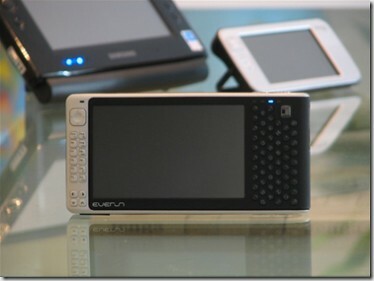 The Everun offers an array of mobile features in an ultraportable package--all at a great price. The device measures only 6.7 x 3.3 x 0.9 in (170 x 83 x 25 mm) and weighs 1.01-1.10 pounds (460-500g). Final MSPR has not been announced for all versions but expect most prices in the $600-900 range. give Vispa a try for free. This freeware offers the 'disable prefetch' tweak and so many others in an easy-to-use GUI. There's no installation file; you simply run the executable, but that's about as dangerous as it gets. Seems good, I'll give it a try tonight. The upgrade improves the following: boot up time, shut down time, program launch speeds, multitasking abilities, file transfer abilities...and so on. I am yet to tweak the machine but it definitely improves all of the above, and for me that's more than enough at this stage. You'll never make the Processor any faster but this RAM really helps. Today I participated in a Web Cast about Origami Experience. The Speaker was Jeremy White. At the end of free web cast I asked him if they were thinking to include UMPCScrollBar as part of OX in the next version. The answer was that we won't need that program anymore because soon 1024 x 600 was going to be the default resolution for UMPCs. This is why a better processor is needed. when using the TIP, the recognition is great but when writing on the TIP. I get a serious lag in the TIP registering my characters. the ink lags in showing up as I reach the end of the TIP when writing. I did not see this on my four year old HP TC 1100 Tablet Running- vista ultimate. I have tried running it full performance in battery modes but the problem persists. could it be that outlook is running and taking up a lot of resources. I will appreciate any ideas to eliminate this? The above comment was posted at Origami Project by a Q1U owner. I had the same problem in my eo v7110 but I never have seen it in my Q1. What this tells me? Processor, processor, do not look in anywhere else. SlashGear found about a new Microsoft's Patent. Under the heading of “color and context-adaptable hardware button” they detail their plans for a next-gen D-pad control, where the buttons themselves are layered underneath a display which, similar to Optimus’ OLED-keyed keyboard, can indicate different functions depending on the on-screen situation. 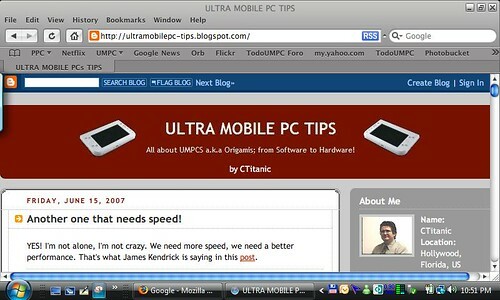 The picture shows a UMPC looking device running Windows Media Center. is Microsoft thinking about to make its own UMPC? Steve at UMPCPortal.com has posted a very good video from VIA presenting the Nanobook. VIA's marketing team have put together a really nice short video presenting the Nanobook. Its soooooo much nicer to see a UMPC in situ rather than covered in fingerprints sitting on a rotating presentation stand. The OQO Model 02 points up just how much your mileage may vary when it comes to choosing a mobile device. Design, functionality, features, price, all play a significant part when it comes to discerning whether a device will fit your work flow. The OQO Model 02 is an excellent small mobile Tablet PC, and I compliment OQO on their effort. It just doesn't work for me. Obviously my mates see ways to integrate it into their scenarios and good for them. I hope it has been good for our readers that we’ve gotten the opportunity to really explore this device and state our impressions and opinions. I’m sure there will be more written about this device in the future here on the digital pages of GBM. Do not feel bad Warner! Your were honest saying what you think. Looking for a good background classic music for my videos at todoUMPC and YouTube I found the music of Richard H Bright. A good old fashioned piano and my Yamaha keyboard for composing, then transposing and arranging on the PS2. Recording and remixing on my Laptop. I don't use samples that one gets in most music programs, because I need to break them down to their individual notes. I like to have a melody in most cases. So it takes me a while before I have the finished result. Awesome! If you like electronic music and classics you can find his albums at iTunes. $6.99 is nothing compare with the quality of his music. A few day ago I uploaded a short video at Microsoft website soapbox.msn.com and it was rejected because of 16 seconds of background music taken from the 5th Symphony of Beethoven. I can't remember exactly How of got that mp3, but it does not specified who the performer was and if the material was copyrighted or not. I believe that I ripped from a CD that I bough from a "Dollar Store", place from where I usually buy a lot of Classics per pennies. The inclusion of those 16 seconds at the beginning and end by me was what I thought a "fair use'' taking in consideration the nature of the video: teaching. I contacted MSN looking for an explanation and the answer was simple: the music used in my video was a copyright violation. Copyright hold by whom? I asked, Beethoven or that unknown to me performer who is also doing the same thing, he is performing Beethoven because there is not any copyright to pay. Stock20.com grants you, the Purchaser, the right to use the music as a soundtrack "synced" with visual images as part of your production. 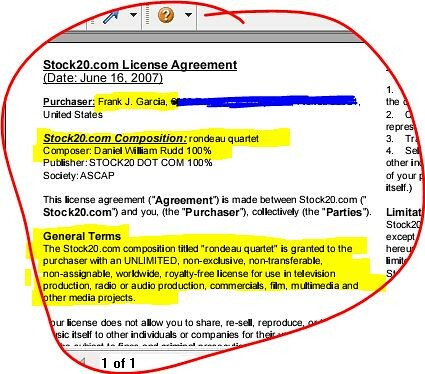 Stock20.com grants you, the Purchaser, the right to use the music as part of the public viewing or broadcast of your production (including but not limited to TV shows, videos, Dads, web sites, pod-casts, multimedia presentations, and films). And here are the two copies of my video, with Beethoven and with Daniel William Rudd's Composition. Both posted at Youtube. MSN's competition. Here is a video that I found today at youtube showing the inter face of a program called NeocModule created by www.neocontrol.com.br .NeocModule is a Home Automatisation System. 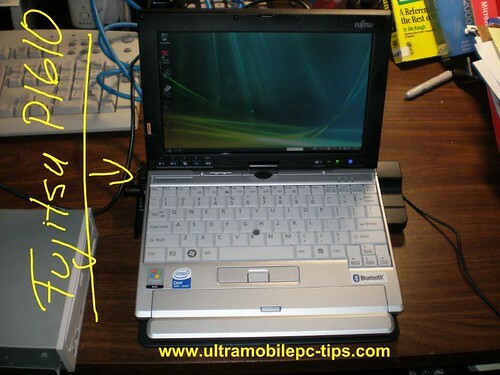 As you can see from the video the program was designed to be used in a UMPC. I installed today Safari for Windows in my Samsung Q1. There are two things that really impressed me. The first one was that I was expecting to see a long time to open the program as it is usual in iTunes. But that did not happen, Safari opens very fast. The other thing that impressed me was how fast this browser renders web pages. I liked the UI, it has a lot of animations that ran very well in my Q1. I liked the way it has to configure the tool bar, you select the button that you want to add and just drag it to your tool bar. But there were also a few thing but important for one that did not work well. The TIP did not work a few times in the URL bar and when I was filling fields. The insert button just did not work. The text disappeared from the TIP but never appeared where I needed. Another problem that I found was that letters did not look sharp in web pages. They looked like when you have cleartype activated but it has not been tuned properly. The last problem I found was that I could not get Safari to work as my default browser. For some reason every time I clicked in a link on Outlook, Firefox was the one being opened even when I had Safari's settings changed as my default browser. And the weird thing is that every time that that happened Firefox complained because it was not any more the default browser. Another thing that I missed in Safari was a full screen mode. I have a hot key in my Q1 working as F11 to open Firefox or IE in full screen but there is not a full screen mode in Safari. At least that's what I found in a short research. In Mac there is an addin from a 3rd party but it has not been made yet for Windows. There are only a few addins for Windows at this moment. Conclusion, Safari could become a very good browser for Windows but is not yet. So... I went back to Firefox. YES! I'm not alone, I'm not crazy. We need more speed, we need a better performance. That's what James Kendrick is saying in this post. So why the dilemma? In a word, speed. What I am finding having used the x61 is that because it is so much faster than the Fujitsu I get more done. I am able to pull the x61 out of the bag, connect via EVDO, check my email (or do some other task) and put it to sleep in a minute or two. This translates into keeping on top of my world better than I can with the Fujitsu because it takes a lot longer to do the same things. If I know I only have a few minutes free I can do the above with the x61 but I won't even try it with the P1610 because it can't be done in that short window of time. This has become such a significant advantage to me that I am seriously questioning whether ultra-mobile is the best choice for me personally. This has been a huge awakening for me as you might imagine. What battery are you saving when you have to wait and wait for things to get done, tasks to open, closing, booting, etc., etc. I'm like James need portability and performance. And honestly, neither VIA nor Intel are currently providing that. And why not Microsoft? Is the OS really optimized for the faster performance? 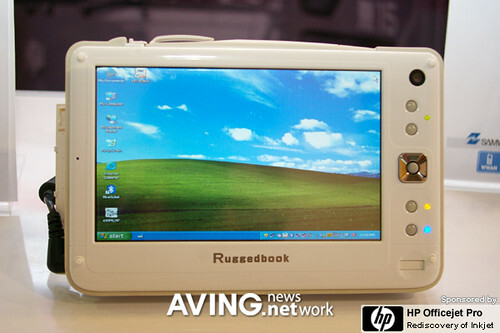 TabletKiosk TufTab was renamed by Samwell and sold by the name of RuggedBook according to information posted by AVING USA. 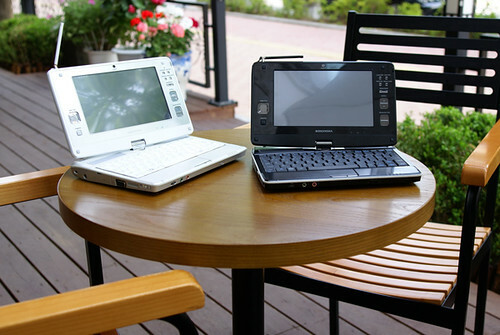 Samwell unveiled its 7-inch UMPC 'PC657’ during Computex Taipei 2007. 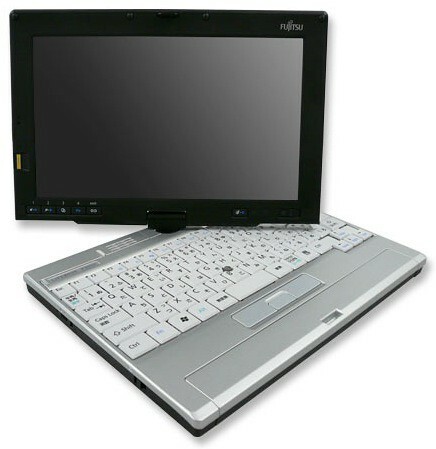 It features 800 x 480 resolution 7-inch TFT LCD, touch screen, VIA C7M-1.2GHz CPU, and Window XP Pro OS. The only difference that I noticed is that seems to me that these RuggedBooks missed the fingerprint reader in some where. The Spanish Online Store todoUMPC has published at their site that Amtek will start making the U560 in this October and that they will have be in their store in November. Along with Hugo, Dennis seems enthralled with the idea of wearing the OQO on his belt, and he couldn't wait to begin trying out the new belt case. Well, I have my own thoughts on that issue, along with it being called a pocketable device, so I thought I'd pass them along. Here is his video about this topic. I agree with you 100% Rob. 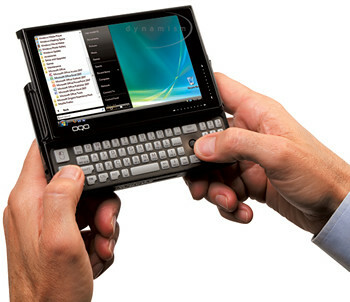 I never have carry my Pocket PC in my pants pocket because it's too heavy and bulky so imagine a almost 2 pounds device! Sorry mate, but the OQO 02 could be the best machine in the world but still... it's not pocketable. This is the title of the most recent post of Hugo Ortega. I have seen many people blaming the slowness of A110 processors to Vista. Well, taking the words of a famous TV Show... Myth Busted... According to Hugo Ortega. Vista actually runs faster on an OQO model 02 than XP does (IMHO). These findings are not purely scientific however in order to obtain comparable results I have used two devices in this video, i.e. one with Windows XP Tablet PC Edition (installed out of the box) and one with Windows Vista Ultimate Edition (installed out of the box). Both are of the OQO model 02 “BEST” breed and both have all their Service Packs and exactly the same apps installed. I have plugged in the exact same Mouse into the base of each unit and done my best to launch each instance of the application simultaneously to not give either a distinct advantage. And to prove it Hugo has shot this wonderful Video. I have to write this short note or I swear God I'll explode if I do not say this. 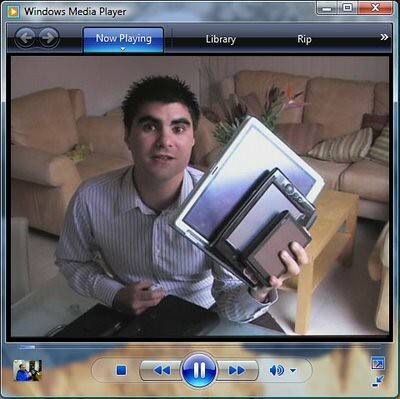 Can you believe that Microsoft latest invention soapbox.msn.com refuses to accept my video shot for "My UMPC is not a Companion PC" alleging Copyright Violation?! And this is not the first time this is happening to me. There have been cases where I have shot two versions of the same video, one in Spanish and another in English. The Spanish Version is accepted and the English is not! I have to admit that this is the first time I have seen "English" being discriminated! And the worse part is that I can't find a link to complain about this situation. Microsoft, you are not always right. You need to learn how to listen from time to time. I have been involved recently in many arguments about performance and battery life and that made me think about myself back in 2006 when the Origami Concept was being constantly attacked by the press and one of the things they were saying was that OEMs were using weak processors in Origamis. And I replied many times back then that UMPCs were companion PCs no designed or thought to replace your main PC at home. Well, Today I have to admit that I was wrong. The processors used in the first generation of UMPC were good enough in the majority of cases, as you can see from the video attached to this article. But they have one problem, battery life. I wont say that this is a small problem. This is a huge problem in our modern life. But like I have said before, you have many things that you can do to stay unplugged from power the whole day, but you can't do anything to increase performance once you reach the point where your UMPC is fully optimized. I was wrong when I said that UMPCs are just Companion PCs. Why? Well because when you own one and you start to use it, soon you will discover that you can't live without one of these gadgets. 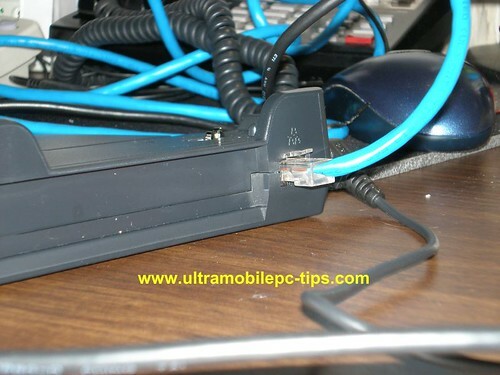 You will enter in a state where you want to use only your UMPC. It's so comfortable after all to use it in literally everywhere that you wont turn on your main PC at home anymore. To think like some companies are thinking that UMPC are designed for Internet and a little bit of document editing is too... simplistic. In current time everything is more complex. Let's take blogging. Who is going to visit a blog without pictures or without a few little videos? Blogging is about mobility! I like to blog when I feel that I have something to say and that happens in the most uncommon places sometime. Do I have to wait to get home to turn on my PC to get my short video edited or to insert some watermark into my pictures? Come on! Games... I saw the other day a video from VIA demonstrating how they can play Quake III in a OQO 02. And I have conflicting reactions with that video. Who the heck is going to connect a UMPC to a full size keyboard and a mouse to play Quake in a UMPC? That's not what gamers want! Young people want to be able to take the UMPC in the way they are and play Hallo like they are playing it in a PSP! Yes, the OQO 02 can handle Quake III. That's good. VIA is getting better. But that's not enough. is there any company that has analyzed how to use the integrated keyboard in this second generation of UMPC to remap some keys to replace the normal use of those keys by the functionality of the keys in a game controller? has any OEM checked how many potential users ask for how good UMPC are from the point of view of games? Because this is one of the most common questions that I have been asked since 2006. And I'm not a gamer. If I'm talking about this is because like I said, people are asking me these kind of questions. No Microsoft, Sudoku does not enter in the category of games that young people want to play. And that brings the same problem again. Current UMPC are not powerful enough to handle most of the games that teenagers want to play. They do not have the power and they have not been optimized to be used as a portable game station. And they do not want a new portable play station. All they want is a real UMPC that they can take everywhere with all those programs and games that they have in their home PCs. And now we have Vista. The Operating System with the best handwriting recognition I have seen. But... what a shame, people are downgrading their brand new Samsung Q1Us because some wise person decided to cut down a processor to increase battery life and another very wise person decided to use that weaken processor with Vista. Thanks God that that last person reanalyzed the idea of using a processor at 600 MHz with Vista! Performance is needed as much as battery life is needed! Here is a video of a practically unknown UMPC. 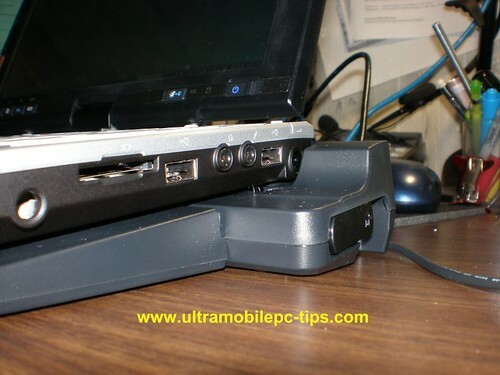 Fujitsu P1610 Docking port includes 2 USB Ports, 1 VGA out and one Ethernet Port. You can buy this accessory at alltp.com for 149 dollars. You can read my full review of the P1610 here. For those wondering how the extended battery of the Fujitsu P1610 looks here are few pictures of it. Yeap, I shot a short video to demonstrate how well Vista performs in a Fujitsu P1610. As you can see the video playing in Windows Media Player in one of the Window plays smooth, no skipping any frame. This brave Q1U owner has downgraded this Q1U to gain in performance. He also installed a 2 GB module of RAM and according to him it works fine. I just installed a Sandisk 32GB SSD in my Q1U and I performed a RAM upgrade to 2GB. I have completed a fresh install of XP Tablet on the new HD (And it is very fast). I was severely disappointed with the performance of my Vista Q1U even after I disabled all of the eye candy. I'm coming from an IBM T40 1.4 Ghz laptop (Pentium-M). I decided to see how the Q1U would perform with a clean install of XP Tablet. Surprisingly, it is very good indeed. Much better than my laptop. I am still hunting down drivers for the USB camera, so if anyone has any pointers for that, I'd appreciate it. All that exists on Samsung's website is a Vista driver for it. And there we have our friend Chippy anticipating his plans of doing the same thing. So all these owners are willing to sacrifice the wonderful Vista Recognition for a little bit of more performance (I know that you don't sacrifice anything Chippy because you do not "ink" ). That's funny because I have been constantly attacked by Q1U owners when I started saying than the A110 was slow. So, Samsung, start selling the XP version of the Q1U soon. You will make a lot of money with that version! I had Today the Fujitsu P1610 running Vista in my hands for a few hours thanks to our friends from Alliance Technologies Partners. 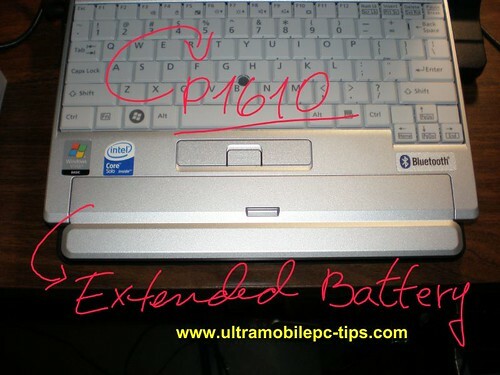 I'm planning to write later a few lines about few things that I did not have the chance to check the first time they sent me the P1610 running XP to review: the extended battery and the dock station. 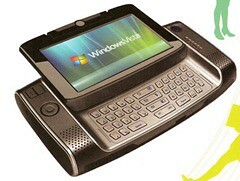 But now I want to chare one screen shot and my impression on this device running Vista. The processor was rated at 2.4 and Vista Performance rate at 2 due to the graphic chip. This machine is fast! Period! And here is my impression: I love this baby. This is a little bigger than a UMPC but it has everything I would like to have in a UMPC. I hope that the US702W could come close to this device. There is only one thing that stops me from buying one: price. Any sponsors? Later this week I'll post a short video of the flipping windows where one of the windows is the slow WMP. The specialized press has started to understand the concept thanks, of course, to just one thing: Keyboards. If it has a keyboard it's good, that's the message of CNET.co.uk review. So why is it so good? Because it's usable! The keyboard feels great to type on, and it even has a dedicated numerical keypad. We wouldn't have sat here typing for this long on the UX1XN's keyboard -- it's an RSI nightmare waiting to happen. Another one from AVING USA with a lot of HR Pictures! 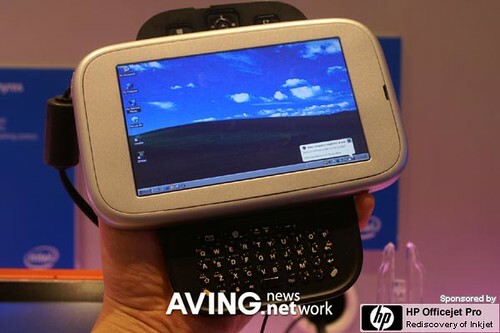 TAIPEI, Taiwan (AVING Special Report on 'COMPUTEX 2007') -- <Visual News> Intel displayed its swivel type 5.6-inch UMPC 'Erath' during Computex 2007, which used low power Intel Architecture silicon. Intel has been showing this prototype since Microsoft announced the Origami Project last year but... so far I have not seen any OEM taking this ball. AVING USA is reporting about the event and has posted a few good pictures of this device. Kohjinsha presented in Korea market its 7-inch 2nd generation mini notebook pc 'K600' series supporting Korean/English electronic dictionary. It is available in two colors: black and white, and it weighs about 1kg. It features Intel A100 CPU, 1024x600 resolution 7-inch wide touchscreen LCD supporting a stylus or pen, CF memory card slot, T-DMB, and navigation. Surprisely, the K600 is using a McCaslin A100 CPU. If we are talking about Inkshow we are talking about Gottabemobile, on of the best and trusted source of information for TabletPC Owners and UMPC Owners, they posted a video review aka inkshow of the Q1 Ultra. I know that many of you, including my dear friends Chippy and JKK keep saying that McCaslin is ok. But it is not. At least when you are running Vista. I feel Vista heavy in a Celeron at 900 MHz which is not stepped down at any moment, including while working on battery. So at 800 MHz it should be even slower. It's true that the video chip in the Ultra is a little better but check Vista Performance Score, the 915 gets 1.9 while the 945 gets 2. Also is very well known that many users were able to run Aero in machines using the 915, that tells me one thing, the 945 is not a lot better than the 915 from the point of view of performance. McCaslin could be an option when you need battery but no when you want both battery and performance, no when you want performance. And it's no good when you want Vista. Samsung was smart enough to see that was completely stupid to sell a device at 600 MHz running Vista, and I really believe from the deep on my heart that it's completely stupid to try to run Vista in a 800 MHz A110. I'm even thinking that a VIA C7M at 1.2 Ghz probably would do a better job. But that's just my speculation because unfortunately I'm not sponsored by VIA neither Samsung to have both machines side by side and test that. The only things that I have are the reports and benchmarks from now a lot of sources saying the same thing, the A110 is slow. (Correction: Well, I just checked again my Amtek T770 review and from there I can say one thing, VIA C7M at 1200 GHz has almost the same performance than the A110. The only difference in both processors is that the A110 supports Aero and the C7M does not). One more thing, I'm not saying, do not buy machines with A110, what I'm saying is that that processor is slow. That if you need speed, good performance, you have either wait for the next generation of processors to be released by Intel next year or buy one of the devices for the first generation. If you buy from the first generation be aware that some of those machines are locked to a lower speed when they run on battery. I'm talking about the i7210 and i7209, and probably the Q1p too. Be aware also that the R2H Celeron is a cut version with a very small cache or none cache (I can remember exactly now) so it's a little be slower than the other Celeron machines from the first generation. Of course, I wont post these comments at Origami Forum, you can imagine the reasons. We here have discussed a lot about Intel and VIA but we have not spent too much time on AMD because so far this company have used the Geode processor (the one used in Vega) which does not deliver a serious competition for current Intel Mobile processors and VIA C7 processors. And this is what is all about, I'm not criticizing here the new UMPCs (Q1U and others) what I have been saying and what you can see in the rest of all sites talking about this platform is that current A110/A100 processors are a step to gain time against VIA's strong competition but it's not a good move for consumers. The real deal is in the new Menlow processors which supposed to deliver the same or better performance that we had in the first generation combined with twice of battery life. Steve has shot a video explaining how using the energy of the Sun you can power and charge all the electronic devices needed to keep blogging during a 7 days bike trip. In the video I present the solar charging and storage setup that I've decided to use for the tour. Its based on the fag-packet drawing I did a few weeks ago after deciding that Li-Ion batteries weren't really the best solution. This a really interesting project. If you are into "camping" you can learn from Steve's experience how to maintain your tend powered using the Sun. and if your live here in Florida, Sun is something that we have enough! I'm on day 7 of vacation in Europe. Now I'm in Paris with my now trusty Q1 and it's holding up just fine. I've been using it in conjunction with a Bluetooth GPS and Autoroute 2007 to find my way around town, upload pictures, handle email, watch TV via slingplayer from back home and type this message. It hasn't protested in the least. My son has been using it to update his Facebook stuff and my wife to listen to voicemail from back home (Vonage). In London I had wifi at the hotel and it worked fine but here I only have a cable network connection...which also works fine. Most McDonald's have wifi for the price of a drink, also, so I've been doing that when not at the hotel. All in all, this thing has proven to be a VERY well spent $700 and more than up to the task of being a "vacation computer". Mark, I honestly and sanely envy you! If UberTablet were a family I guess Frank Garcia (Ctitanic) would sure be part of it. He recently picked on me for downgrading from a perfectly good Samsung Q1P to the OQO model 02. In my defense I posted some thoughts yesterday and I seemed to have pleased the little guy with my response. Having said that I believe my job as head of the family remains unaccomplished until the entire family is debriefed and up to speed with Frank and me. Hugo is a seller by nature, so if anyone could convince me that the OQO 02 is a better choice that's him. After viewing Hugo's video the only thing that I can say is: What is good for some people could be not the best thing for you. Always remember that when you are buying anything. I enumerated clearly the reasons why I would no go for a OQO 02. I have a VIA UMPC, I have tested another one and I'm convinced that VIA Processors are just not for me. I need more performance for what I'm doing. So even if I would not have to pay for it I would not use the OQO 02 as my main machine. There are two things that I did not mentioned in my list of facts was the screen size. Even if I wanted to go with a smaller than 7 inches screen I do not think that due to my myopia that would have worked. I use contact lenses to correct my far vision so I can not read very small letters. 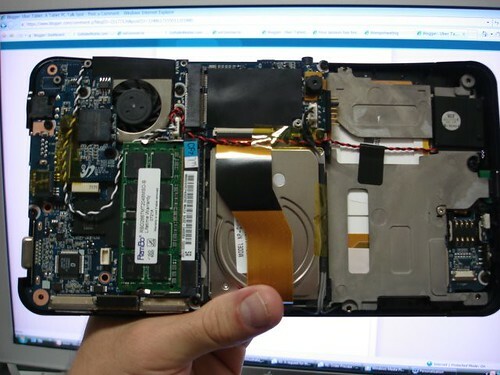 And this is why I always advice people thinking about to buy a 5 inches UMPC to test it before they pay for it. To check if they feel good with that screen size. The Second thing is that I never use a keyboard in my Q1. Unless I have to write very very long articles. And that happens not that often and for that I have a BT Stowaway Keyboard. So not being a keyboard kind of guy to me the OQO does not represent any advantage because like the same Hugo says, if he has to write a long article he connects the OQO to a keyboard. Anyway... I would like to thank Hugo for biting the bait and releasing this incomparable video explanation. Bravo Hugo! What is good for one person could be the worse thing for other. I moved my main site www.tweaks2k2.com to a new server and as a consequence some of the pictures in the How-To page of this site were not shown anymore. This issue has been fixed today. Thanks Angel for reporting the case.